Suited Window Espag Handles, Inline or Cranked - DGS Group Plc. 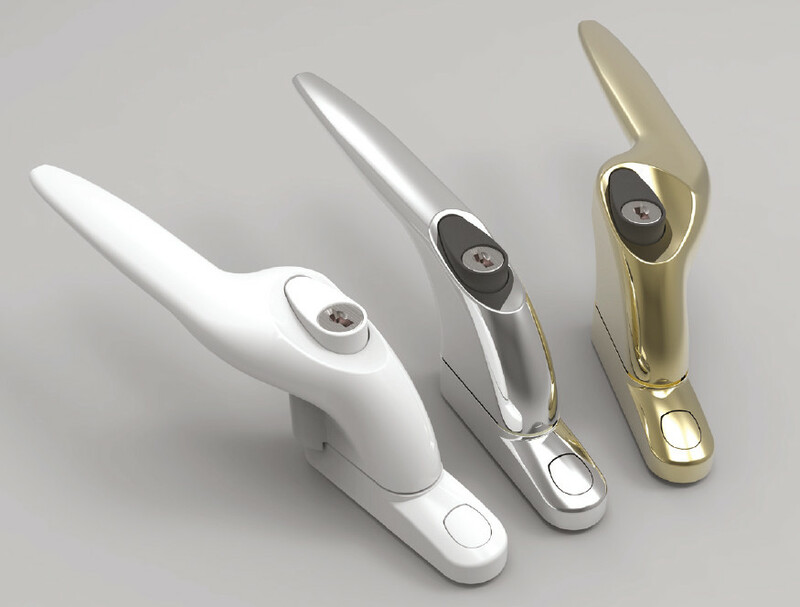 An Espag Window Handle range that offers an intelligent design and ergonomic style with more substantial aesthetics and improved action button. Available in inline or cranked options, the window handles have been manufactured to an extremely high standard and offer outstanding product performance. New, improved ergonomics and aesthetics. New, improved locking mechanism (button). Available in full choice of colours including Gold (PVD), Polished Chrome, Satin Silver, Black and White. Special finishes available on request subject to volume. Guarantee* – 10 years mechanical and Class 4 corrosion resistance. Spindle lengths 15mm, 30mm and 40mm. All handles come complete with key, 2 fixing screws and screw cover plate. Also included with every handle are non-lock blanking plugs* for even greater flexibility. *One colour matched to button and one green coloured. Available in Gold, Chrome, Satin Silver, Black and White. Note: These codes are for spindle length 30mm. Other sizes change the ’30’ for other spindle lengths.